The country's film industry is enroute to revival after approximately two decades. Half the year has passed and the Pakistani film industry has churned out some great movies, with a few more to come in the second half. But that's not all that's been happening. Not only the film industry, but the cinemas are also being revived.This Eid, the district of Mandi Bahauddin, saw the opening of its first 3D multiplex cinema, the IMGC Multiplex Cinema, in Sufi City, Mandi Bahauddin. The news comes as a pleasant surprise not only for the people of the district but also for cinema enthusiasts and film distributors in the country. 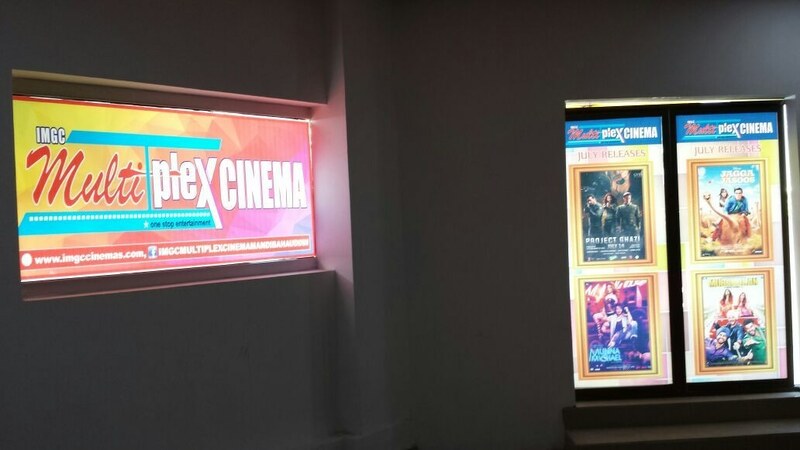 Only a week old, the IMGC Multiplex Cinema in Mandi Bahauddin is successfully showcasing the two top Pakistani Eid releases, Yalghaar and Mehrunisa V Lub U, offering three shows per day. According to IMGC, "The IMGC Multiplex in Mandi Bahuddin is a single screen that is now operational with 256 seats at the moment. IMGC Multiplex in Mandi Bahauddin is an effort by IMGC to expand the state of the art kind of entertainment facilities to all towns and cities like. We want entertainment to be available for all, be it a small town and or a large metropolis." explained the IMGC representative. The first IMGC Multiplex Cinema opened in Sarghoda, and now Mandi Bahauddin. With successful running of shows, the cinema will now be contributing to the district as well as the country's economy.